Summer holidays are being close to an end. So, today,’s Tsukiji didn’t have so much people around 7 a.m. I went to the 8th bldg. 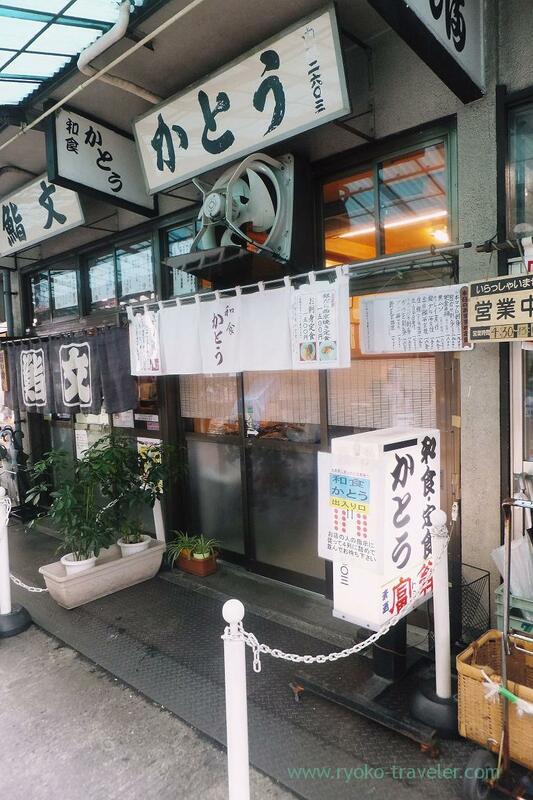 of Tsukiji Market that have Yonehana, Torito, Sushibun and so on and found almost all eateries didn’t have people waiting except Oedo and Nakaya that is sashimi bowl shop. Also our target, Kato did.. 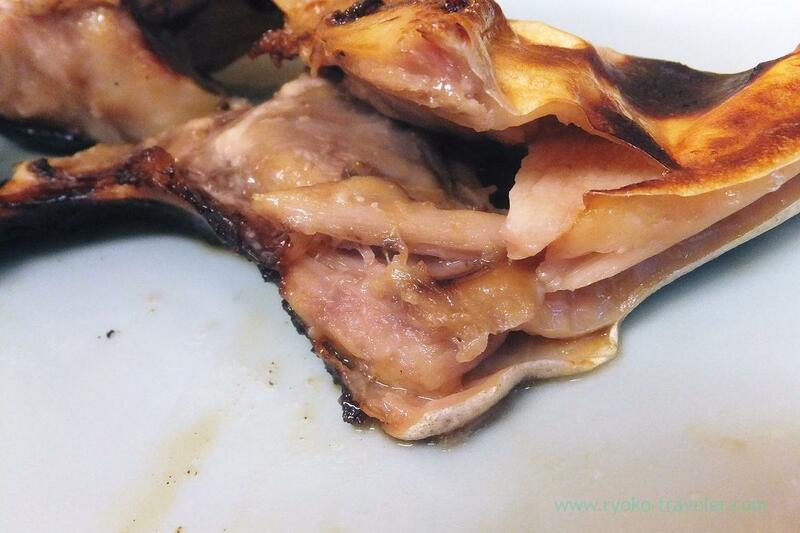 I ordered a grilled butter fish marinated in Saikyo miso (マナガツオ西京焼, 1500yen) that I intended to eat from yesterday. I know this is out of season now (The best season is from Spring to early summer), but anyway, I wanted to eat it because it looked tasty at my friend’s blog ! 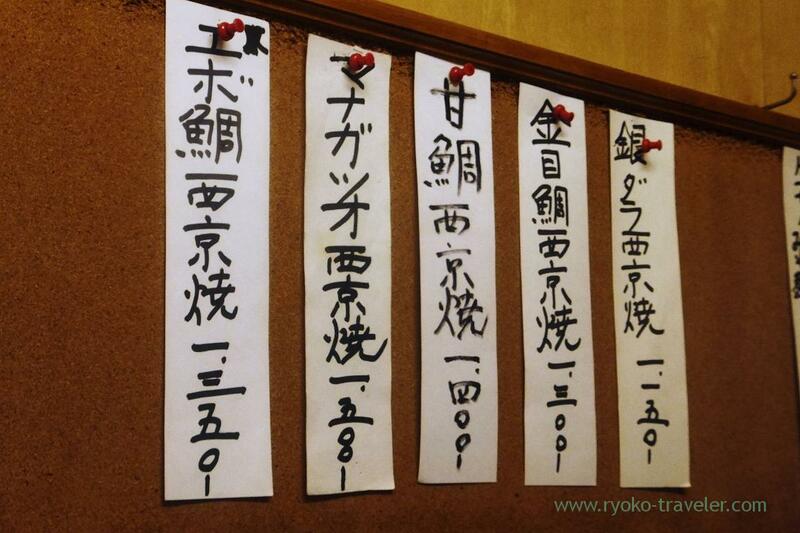 Kato sell this Saikyo miso for cooking it at home, so, someday I want to buy it ! Eating it with daikon radish was refreshing. 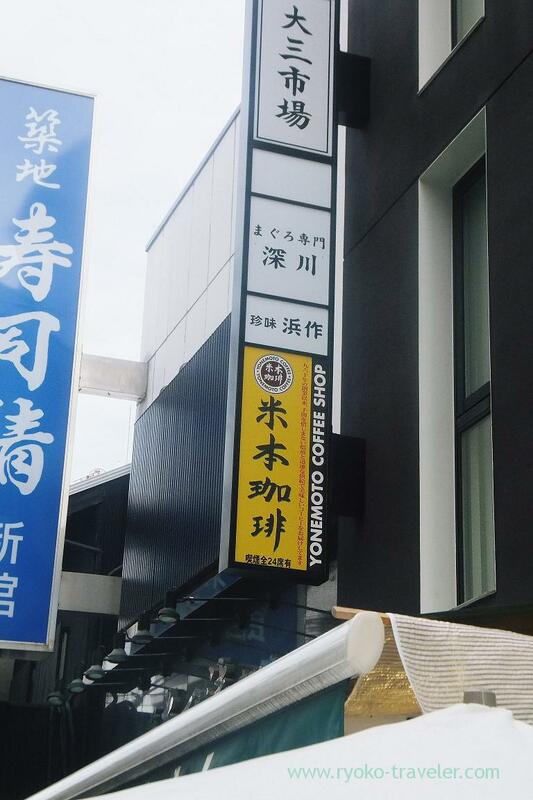 Kato will not move to new Toyosu Market and quit their business. So, I don’t have much time to say such a thing. I’ll go there and buy it soon. This is not set menu. So, I ordered separately set (定食, 450 yen). Pickles, miso soup, boiled foods were good, too. Maybe, you can’t find the difference between two white things, rice and grated daikon radish. 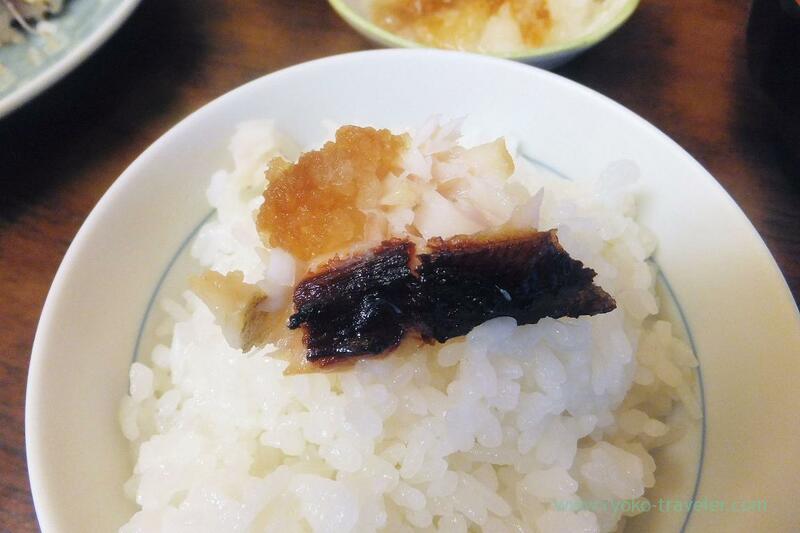 The grated daikon radish is eaten with the butterfish. 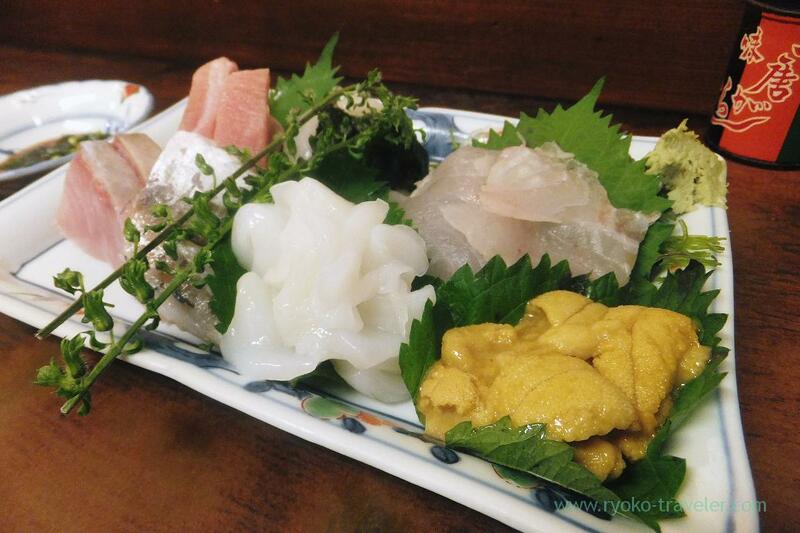 This is the assorted sashimi having five species of seafood (お刺身5点盛り, 2500 yen). 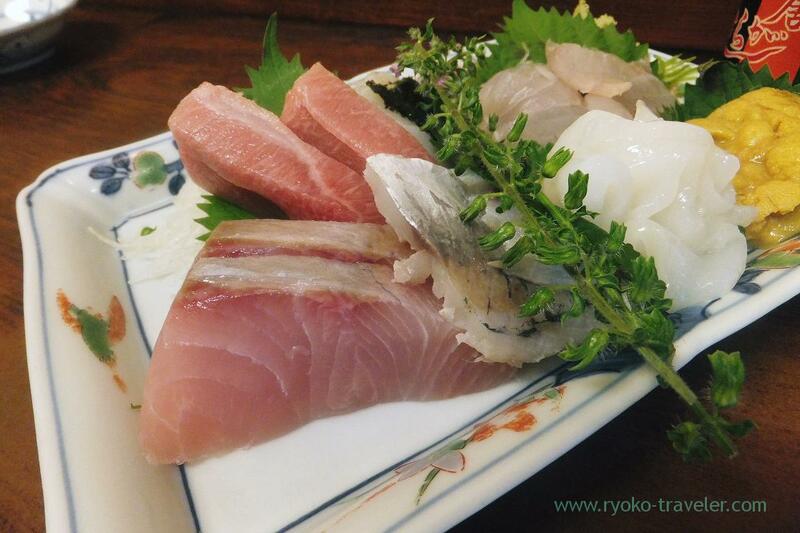 Tuna, squid, vinegared horse mackerel, sea urchin and red sea bream. Especially the squid was soft and sweet. Maybe it was squid’s baby called “Shin-ika”. 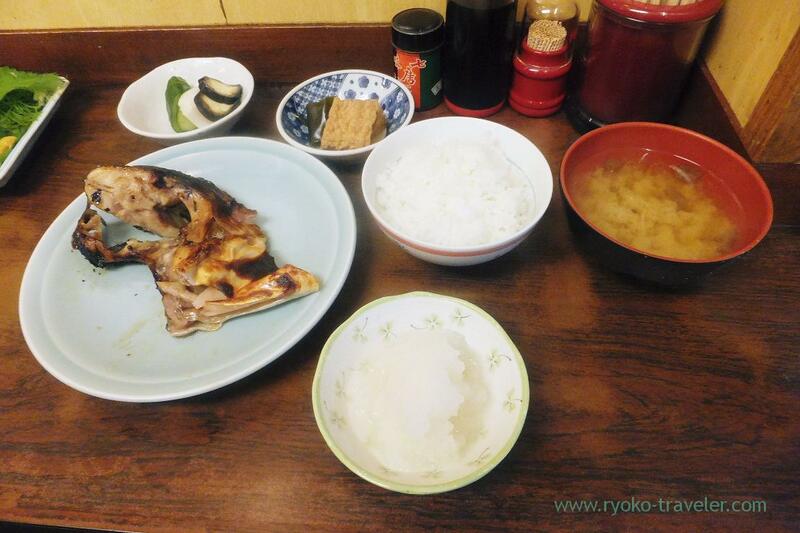 The vinegared horse mackerel was slightly vinegared. I couldn’t find the vinegar taste. 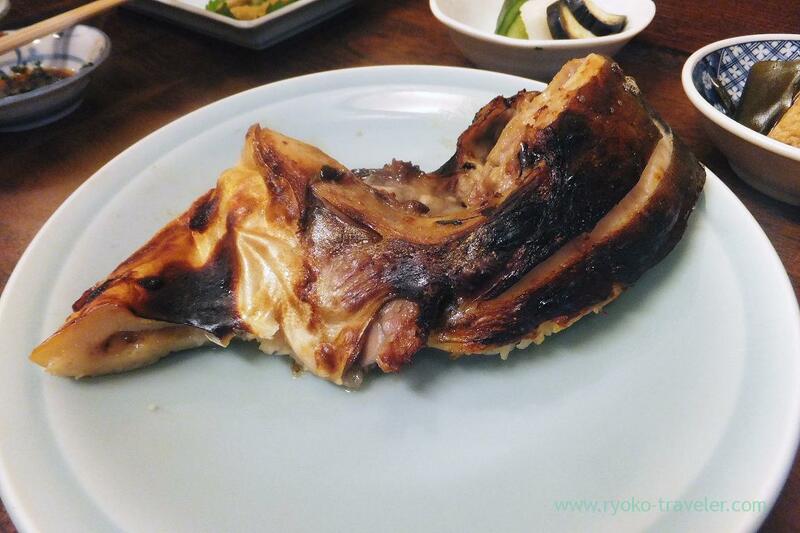 Why I found it is “vinegared” was because the meat slightly became white. After that we got out of the market and walked around shops street. 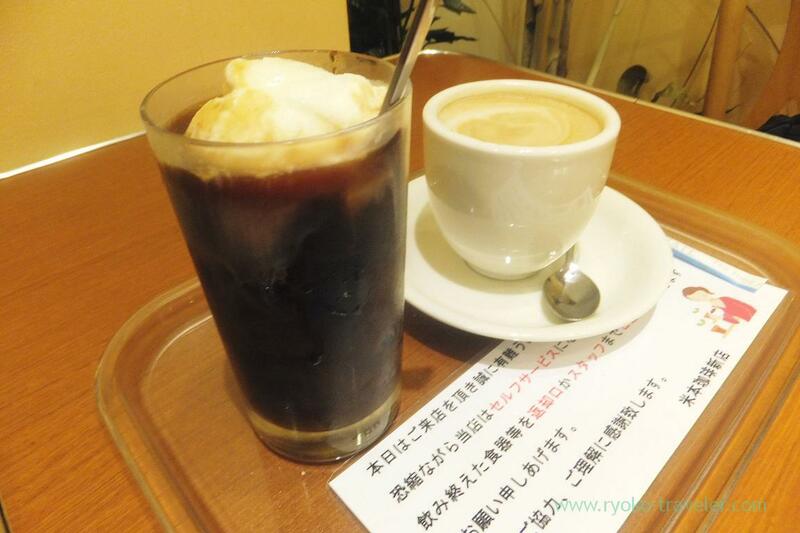 And then we had coffee at this Yonemoto Coffee Shinten.